A few weeks ago I went on a mini tour around north-eastern Europe and my last stop was Germany for Europa Park. I’m the kind of crazy nut who gets to a theme park entrance an hour before rope drop, just in case the place opens up early, so I couldn’t pass up on visiting one of the best theme parks in Europe while I was there. Anyway, one of the best rides they have at Europa Park is called the Voletarium. If you’ve been to Disneyland, the Voletarium is really similar to Soarin’. If you haven’t been to Europa Park or Disney, the ride is an immersive artificial reality thing. You sit in a seat and a big screen in front of you, working together with other sensory knick knacks, tricks your senses into thinking you’re flying over the world, across all kinds of amazing places. One of the big sensory tricks they use is smell. When it looked like we were flying over fields of tulips in Holland, the room filled with a sweet, floral scent. And when we soared across crashing waterfalls in Canada, the room filled with the smell of…chlorine. I get that waterfalls don’t smell of chlorine. But you, know. Chlorine = presence of water, so I’ll let them have that one. When we were sailing across a snowy forest, the air was rich with the smell of peppermint. I was a bit lenient letting them pump the smell of chlorine in the air to signify water. But really, in what way does peppermint symbolise snowy forests? And don’t think I was getting pine mixed up with peppermint. I live on an island where the high altitude regions are covered in pine trees, so I know what that smells like. When that part of the ride began, the smell was so apparent I started craning my neck looking for a bowl of mint choc chip ice cream, some thin mint cookies or – ideally – a batch of these healthy peppermint brownies. That tiny episode of my life stuck in my head so much that the minute I got home, I had to make peppermint something and brownies it was! I’m having major IBS issues again, so I tried to make these brownies as paleo as possible. That means they’re 100 gluten-free – whoo! I wanted them to be totally sugar-free and dairy-free, too, but I had no way of making peppermint frosting without at least a little dairy and sugar. I tried making the frosting with avocado, but no. The green colour was awesome. But the flavour? Not so much. But even though the main brownie batter contains absolutely no gluten, dairy or refined sugar, these healthy peppermint brownies are honestly some of the best I’ve ever made. Ever ever ever! 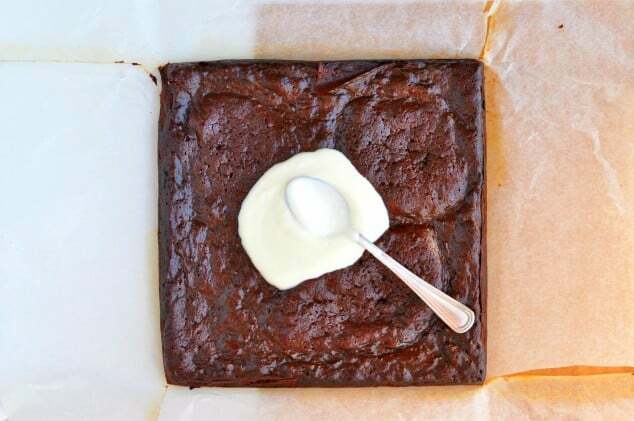 I love a fudgy brownie that’s so fudgy you struggle to pick it up in one. 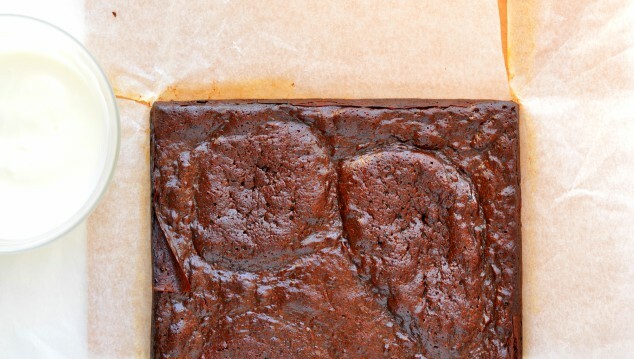 And just like these vegan protein brownies, that’s exactly what these are! 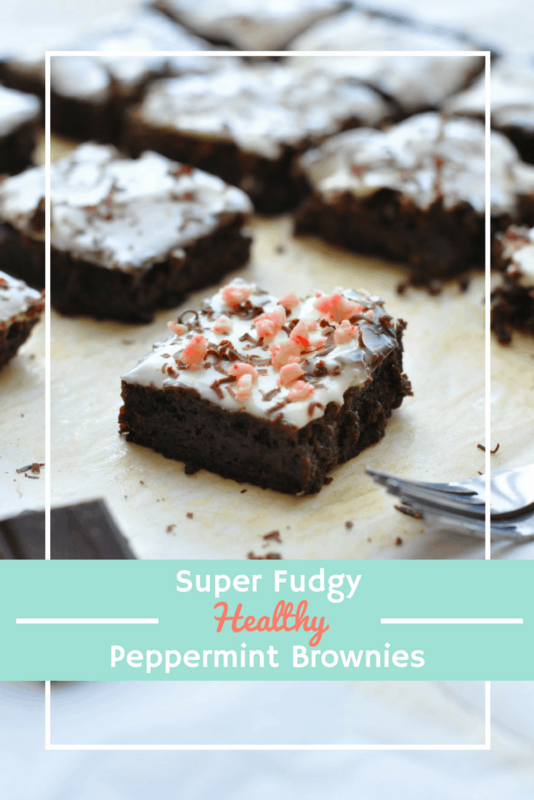 If you prefer a more cake-like brownie, you need to avoid these healthy peppermint brownies at all costs. You’ll get along much better with these low-calorie brownies which are so light and fluffy they’re almost like chocolate cake. 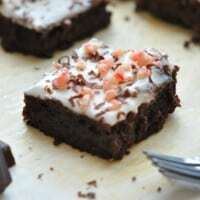 But back to these healthy peppermint brownies. Seriously – the texture is so rich, indulgent and decadent that you’ll never believe they don’t contain any bad ingredients. (Side note: 2 tablespoons of powdered sugar between 16 brownies really won’t do you any harm.) Any 142 calories per brownie? That’s amazing! P.S. Why do you think the smell of peppermint is associated with snowy forests?! 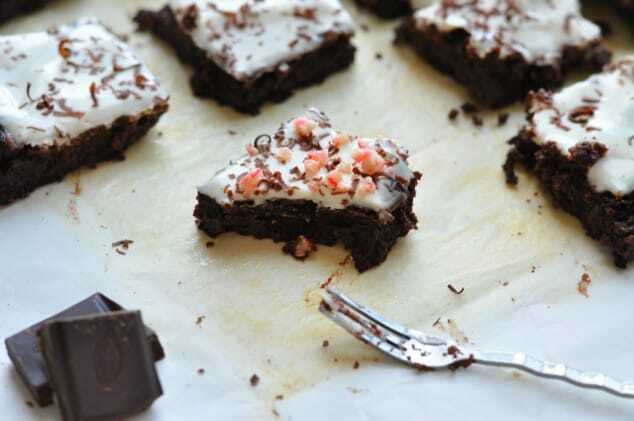 These healthy peppermint brownies will change your life! They've got the most intense fudge-like flavour but are surprisingly low in calories, completely gluten-free and almost sugar-free! Preheat the oven to 350F/175C and line an 8" square baking tray with parchment paper. 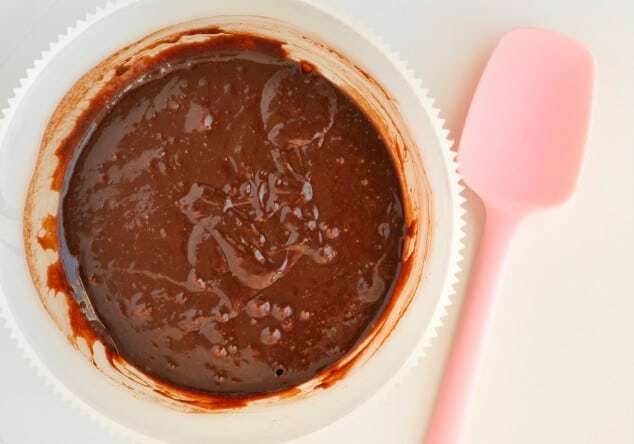 Place the dark chocolate into a microwave-safe bowl and cook in the microwave for around 60 seconds, until totally melted. Beat in the oil, cocoa powder, honey, eggs, vanilla, coconut flour and salt until the batter is thick and lump-free. Pour into the lined baking tray and bake in the oven for 25 minutes, until the top is solid to the touch. Leave to cool to room temperature before frosting. To make the frosting, stir together the Greek yoghurt, powdered sugar and peppermint extract. 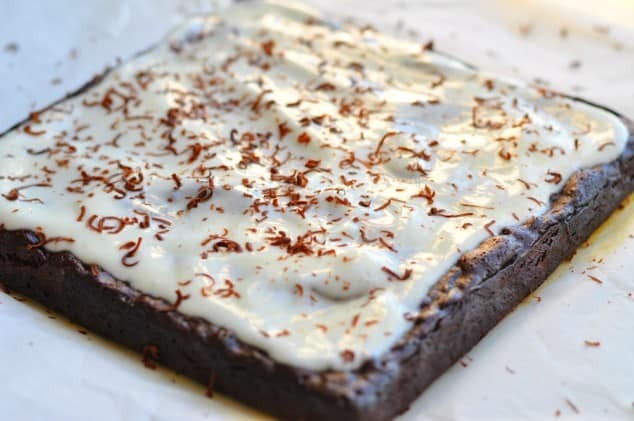 When the brownies are cool, cover them in the frosting then grate a little chocolate on top. Slice into 16 squares and enjoy!